Yeah, those Tiny10's are nice...does it require a special programmer, and/or would a programming board like I made for the Tiny13 work? 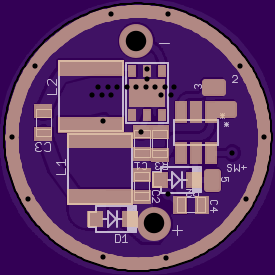 So we just need to build the booster, design in the Tiny10 w/ FET and go from there. 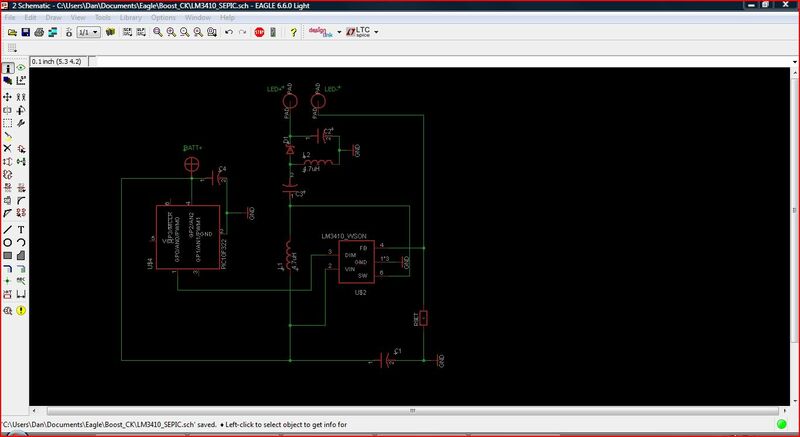 Think you can whip up a schematic? Our regular USBASP's will do them. I like the tiny10 cause it has an EEPROM, (the 10f322 doesn't). I don't know if there's a clip for it but yea you could do it on either a programming board like your 13A one or could do it ISP with a pin style connector. What sort of solder less connectors do they make for tiny stuff? I know they have those little single-pin-leg clips, is that the only QD option? 2.8A is the max switching current, the input, max output is going to be under 2A and that's really taxing it, most likely we'll see about 1A out, the good thing is we can for sure parallel drivers to get more current out, I'm hoping we can parallel the 3410's on a single driver too. Brian (anyone else) I know how to do copper pours / vis's to dissipate heat from components neutral pad's, what can I do to try and dissipate heat out of the sense resistors with very limited space? End goal is a single side 15mm driver (resistors can go on bottom with batt+ spring pad but nothing taller than spring. As usual would really prefer programming hookup's on bottom (be it the MCU its self or some sort of pad's / via/s). Yesterday I mentioned this to Matt and he said he was a huge fan of the LM3410, he sent me a few .sch's he's used before. He so said the plan to use a FET was overkill, we could do everything we want with only then 3410. Didn't have time yesterday but will be checking out his files today and seeing what I can come up with. I also donated $5 to that LPF driver and included my email and some questions hoping to hear back but didn't. So I ended up placing pad's for the Bovine dude's 4.7uH inductor's (which are probably good enough and they're tiny) but I had calculated that 6.6uH would make for smaller LED ripple (but this isnt gonna be high current anyway so "good enough" is probably more than good enough) tho better efficiency is always a good thing. Also being SEPIC this will allow for 2*NiMH threw 1*Li-ion input with about the same efficiency and even allow 1.8v (1*L91) use tho efficiency (and possible output, depending on what you had it set for) will suffer some. 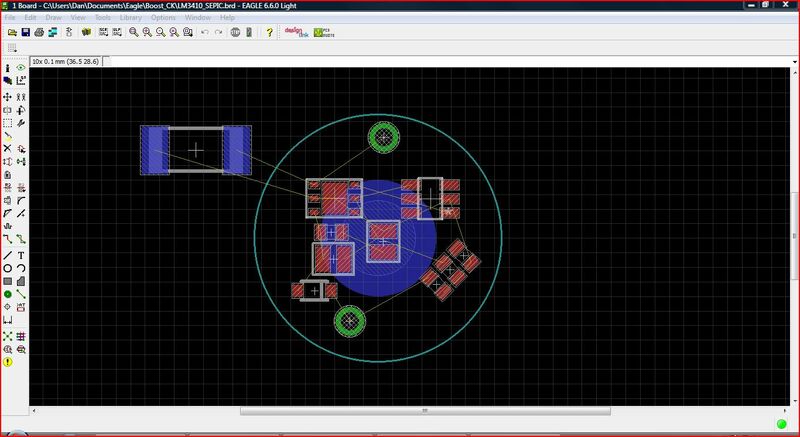 I dont know about 1.2v (1*NiMH), just have to wait and see. Ideally you would feed it 3-4.2v. Note this is a CC regulated circuit but still dims via PWM. 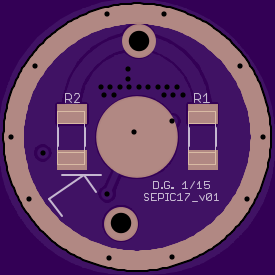 Think of SEPIC as buck-boost but with a much smaller input range (and better efficiency over that range). This can drive 3v emitters - 9v (including 1x MT) but its better to run 2* or 3* 3v emitters in parallel than it is series for triple builds [6/9v out will probably require zener diode change]. Think of the options for a 3Vin driver and CR123 builds for the muggles that can still take 16340 without issue and can even be used with 2* and 3* AA lights (like say mini-mag's). Plus you can do single-AA /AAA sized builds for 14500 /10440 and have the avalibility to run off the shelf L91/L92's for emergencies / spare's you leave in your car (and possible even NiMH). Sounds orsm. The reason it sounds orsm is that I dont speak or understand Chinese. This would be the holy grail of drivers if it went down to .9 volts. Good stuff and keep it up. Any headway on this C_K? It's also got the possibility of being able to drive 3s 3v emitters or even an MT-G2 (or any emitter / series string up to 12v). Tho that 3A out is a hard limit. I knew if anyone could whip one up it would be you!